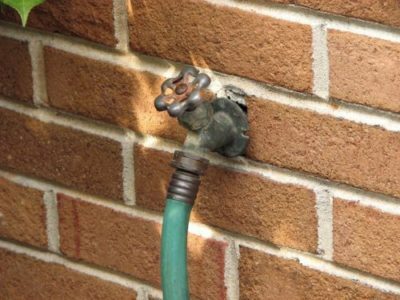 What to do when your hose spigot leaks once spring time hits? The temperatures are warming up!! (Thank goodness!) If you’re planning on doing some spring cleaning outside this month, you’ll more than likely need to turn your outdoor faucet (commonly known as a hose bibb) back on. As you start to use your outdoor hose spigot again in the Omaha area, it’s extremely important to check for interior or exterior damages. The several months of freezing cold temperatures during the winter may have damaged the actual hose bibb or cracked your water supply line. A water supply line is a pipe inside that feeds the water to the actual hose bibb. If these burst they can cause substantially damage to your home. A leaky hose bibb or cracked supply line can result in damage to your Omaha NE home and also an increase in your water bill!